There have been hundreds upon hundreds of books published with the word “Charleston” in the title. The subject matter almost always concerns the city’s history and mystery, elegance and architecture, ghosts, goblins, restaurants, romance, natural beauty or nightlife. But until now there has never been a book dedicated exclusively to the city’s underrated but vibrant golf scene. 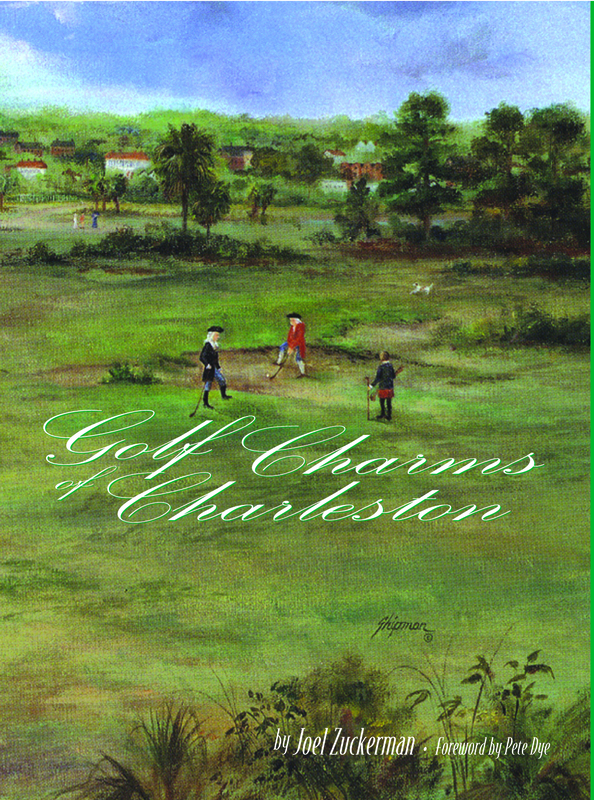 With full-color photography and original line and ink drawings, “Golf Charms of Charleston” explores the dazzling courses of ultra-chic Kiawah and Seabrook Island, the venerable old-line country clubs in town, and every worthwhile venue in between. There are ten Charleston-area personality profiles in the text, from a multi-talented Hall of Famer (Beth Daniel) to a multi-platinum rock and roller (Darius Rucker.) Author Joel Zuckerman discovers the golf pulse of this wonderful region in this lovely 8 1/2 by 11″ hard bound coffee table keepsake, featuring a foreword by renowned golf course architect Pete Dye. Get the book personally inscribed as a wonderful gift to yourself, or for someone you care about. Copyright © 2019 vagabond golfer. All Rights Reserved. The Magazine Premium Theme by bavotasan.com.